When I had my two kids I looked to my mom, sister and mother in law for any advice in parenting. How do I get them to sleep through the night? Should I breastfeed? How soon can I introduce solid food? But millennial parents do things differently. 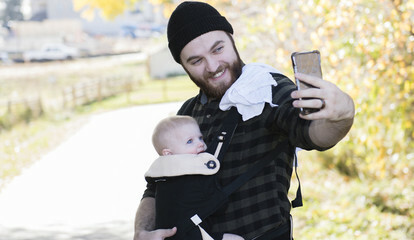 Millennials have brought crowdsourcing into the parenting arena. They are going online to seek guidance, using parenting blogs, websites, forums and social networks as sources of information. Parents say the online sources help them feel more connected at a time when many feel very alienated or lonely. Peer advice is highly valued among millennials, so why not seek it out when figuring out how to parent. According to marketing platform Adhive, millennials are watching internet videos two and a half times more than traditional TV. That means parenting experts are turning to digital platforms to reach their audience. When new moms or dads don’t know what to do, help is just a click away. Busy Moms Parenting and Two New Moms are just two of the many YouTube videos that offer simple advice for parents. Videos can range in length, topic and development stage. They are easy to digest and available at any hour. And they appeal to many new parents because the advice is available at no cost. A final note: Not all advice on the internet is good advice. When in doubt, ask a professional. These sources can be helpful, but they shouldn’t be the only way to get help or solve a problem. But used wisely, they can be helpful tools.